Avner Bengera is the Chair of Hughes Hubbard & Reed’s Mergers & Acquisitions Group and a partner in the Firm's Corporate Department. His primary focus is on public and private mergers and acquisitions, joint ventures and private equity transactions involving US and non-US clients. His M&A experience spans, among others, the pharmaceutical, transportation, telecommunication, industrial, media, technology, consumer products and apparel industries, and includes auction sales (including in a bankruptcy context) and divisional sales. Most recently, Avner led deal teams in: TerraForm Power’s merger and sponsorship transaction with Brookfield Asset Management, Brambles Ltd.’s joint venture with First Reserve relating to their oil and gas containers solutions businesses, Heartland Food Products Group’s acquisition of the Splenda brand business from Johnson & Johnson and its related joint venture with Centerbridge Partners, Zoetis’ acquisition of the global animal health business of Abbott Laboratories, and multiple equity investments by KPMG Capital, an investment fund for KPMG member firms. Avner also brings deep experience in cross-border deals, including working on transactions involving clients in Asia, Europe and Latin America. His representations include Daimler in various investments in the US, including in the leading electric car designer and manufacturer Tesla Motors, the administrators of Europe, the Middle East and Africa in multiple auction sales of the global businesses of Nortel Networks, and the largest tobacco company in the Philippines in the creation of its joint venture with Philip Morris. 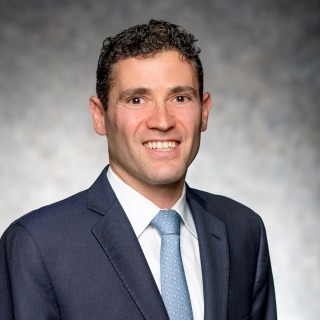 In addition to his legal skills, Avner, who has a background in economics, was raised in Belgium and has lived on three continents, and uses his cross-cultural experience and language skills to execute complicated deals effectively, focusing on clients’ business objectives. He has been identified in The Legal 500 United States every year since 2012 as one of the top lawyers in the category of mergers and acquisitions and Who's Who Legal - M&A and Governance 2018 identifies him as one of the world's leading M&A lawyers. Representing Benihana Inc. in its sale to Angelo Gordon & Co. The sale of Nortel’s Optical Networking and Carrier Ethernet businesses to Ciena Corp. Representing Loews Corp. in its sale of Bulova, a leading distributor of watches and clocks, to Citizen Watch Co. Representing UBS AG in its acquisition of (i) the North American private banking business of Bank Julius Baer, a leading Swiss private bank, and (ii) the capital markets business of The Charles Schwab Corp.